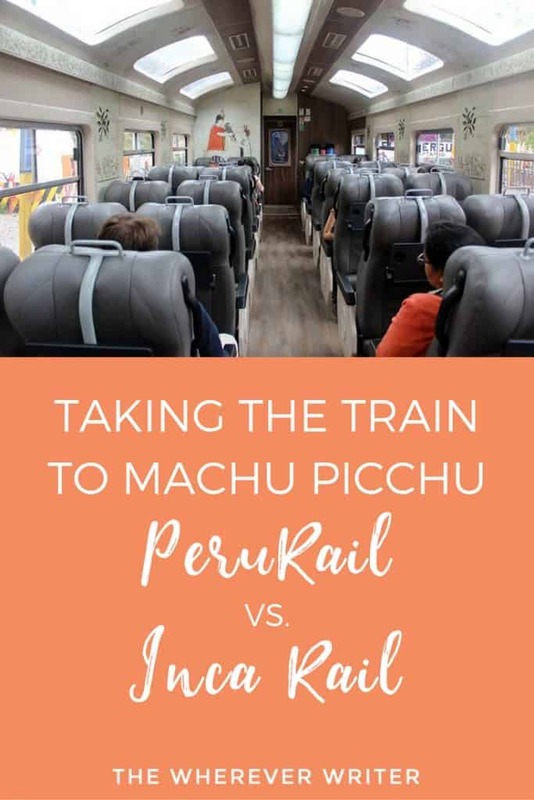 Taking the Train to Machu Picchu: PeruRail or Inca Rail? 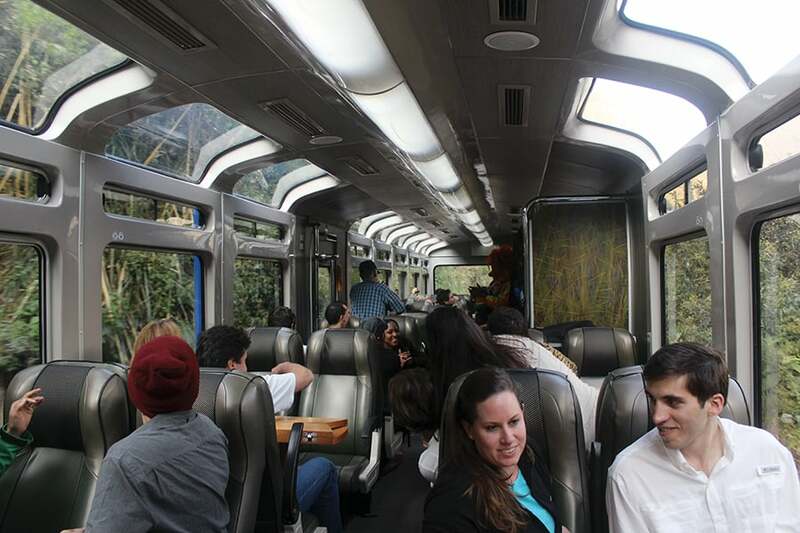 While doing research on ways to get to Machu Picchu, I couldn’t decide which was better: PeruRail or Inca Rail? After arriving in Peru, I was able to visit Machu Picchu twice, and try each train operator. Below I’ve written a review of both PeruRail and Inca Rail. Bus or Car ( A lesser known option and, depending on whom you ask, maybe dangerous). 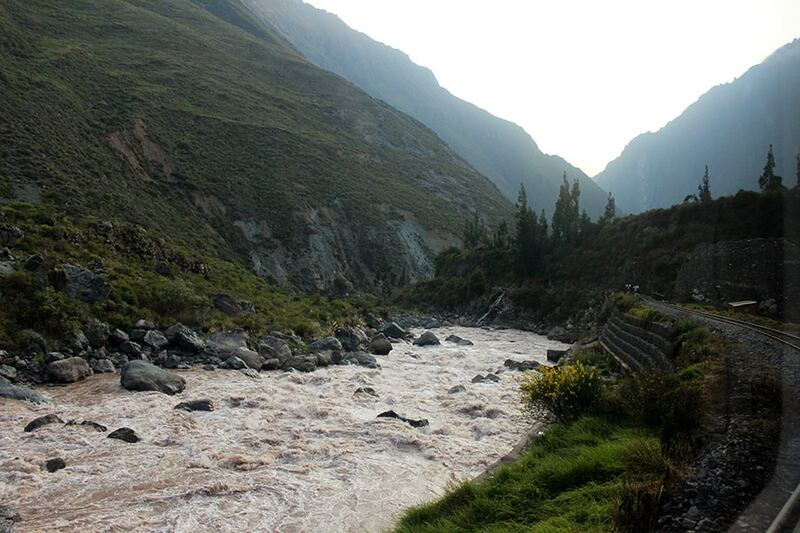 Both train operators share the same track that winds along the Urubamba River and passes breathtaking mountains. There is no train station exactly in the Inca citadel of Machu Picchu. Both PeruRail and Inca Rail actually bring you to the small town of Aguas Calientes, which is just beneath Machu Picchu. 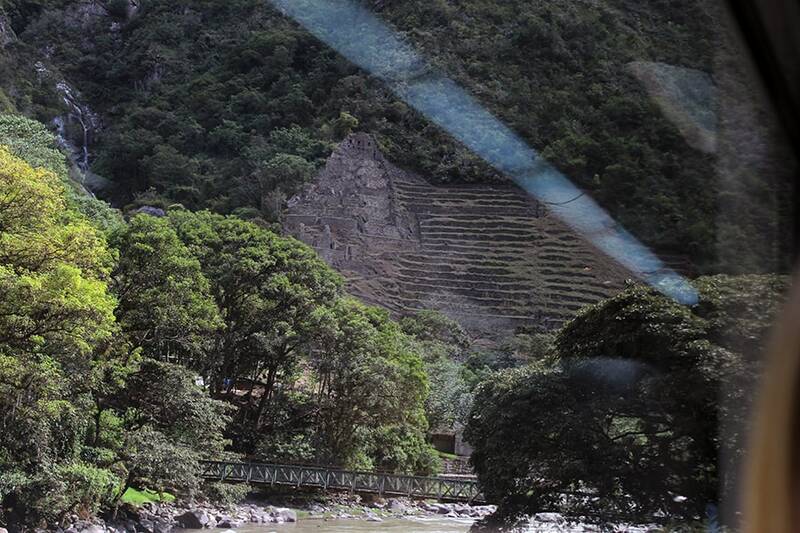 You must then take a 20-minute bus ride up a mountain to get to Machu Picchu. There are a lot of options for departure points and times, so be sure to play around with them to see which ones are most economical for you and will allow you to spend the right amount of time sightseeing. For example, you could book a train from Ollantaytambo to Machu Picchu. You could then take a taxi to Ollantaytambo and spend a couple hours there sightseeing before catching the train. You’ll notice below I put the “starting price” of each train class. That’s because prices vary (even within the same class) depending on what time you choose to depart, and which city you choose to depart from. 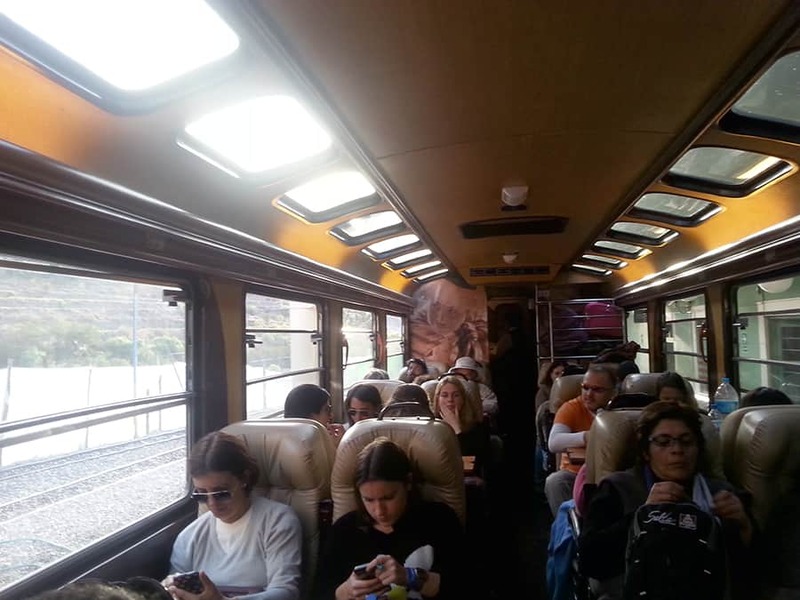 PeruRail advertises that there is a route from Cusco to Machu Picchu–please note the departure point is actually Poroy, just outside the city of Cusco, and you will need to either take a bus or a taxi to get to the train station. Some of the trains leave at night, which means you won’t get to enjoy the beautiful view. Keep this in mind before booking a night train. 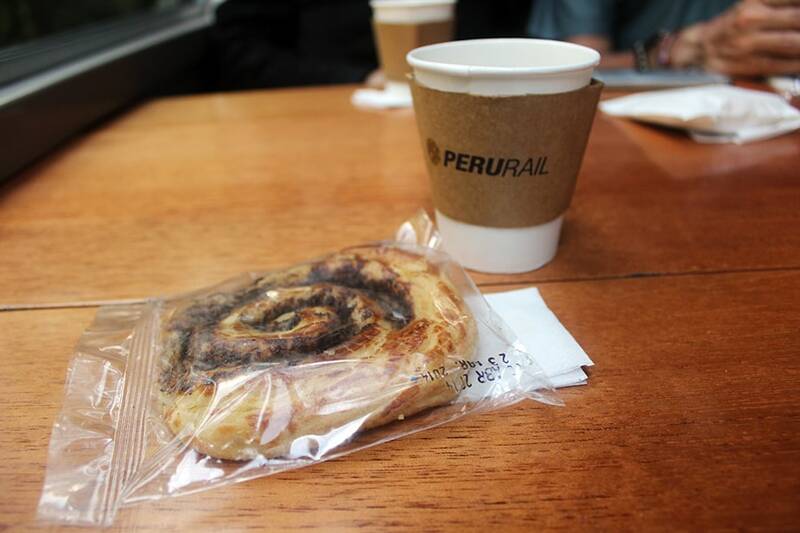 PeruRail is the most popular option, with the largest selection of departure times and cities. I went with PeruRail on my first trip to Machu Picchu. When you book, make sure you get an actual window seat. As you can see, my “window seat” was missing…a window. Modest snacks are included with the ticket purchase. They serve tea, coffee, and some pastries. The beautiful Vistadome train gets even more light from larger windows, plus more legroom and a large table. 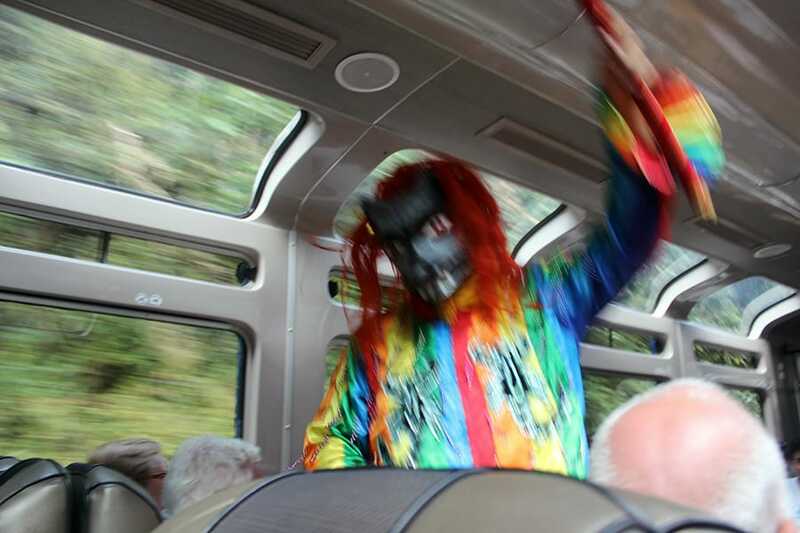 A wacky fashion/horror show is also included with the purchase of a Vistadome ticket (though I kind of wish it wasn’t). I am too poor to afford this fancy service. But if you are able to shell out almost $400 for a one-way ticket, then go for it! And send me photos! I was very impressed with PeruRail. The staff was friendly, the trains were extremely clean and well-kept, and I met awesome people (not guaranteed with each ride, of course). Inca Rail is a slightly lesser known option, with fewer departure times and only one departure city (Ollantaytambo). So if you’re staying in Cusco, you’ll need to take a private taxi or a combi/colectivo (shared van) from Cusco to Ollantaytambo to catch the train. This company is newer, having started in 2009, 10 years after PeruRail. Note that the Inca Rail First Class service runs only between April 1 to November 14 and December 21-31. Presidential Service runs by request only. I took IncaRail during my second trip to Machu Picchu. The Economic Class of Inca Rail differs slightly from Peru Rail’s Expedition class in that it has more legroom. Where PeruRail’s Expedition seating is more like airline seating, Inca Rail’s Economic class has each two seats facing another set of two seats, and a small table in between. On this train, they also served us hot or cold beverages and a small snack. However, an employee told my friend that snacks and beverages are usually NOT included with the Economic ticket, but they were just “trying it out” at the time to see how it goes. So I’m not sure if it will be included in the future. If you’re wondering why the Executive train, which is a step above Economic, is actually a few dollars cheaper, I have no idea why. 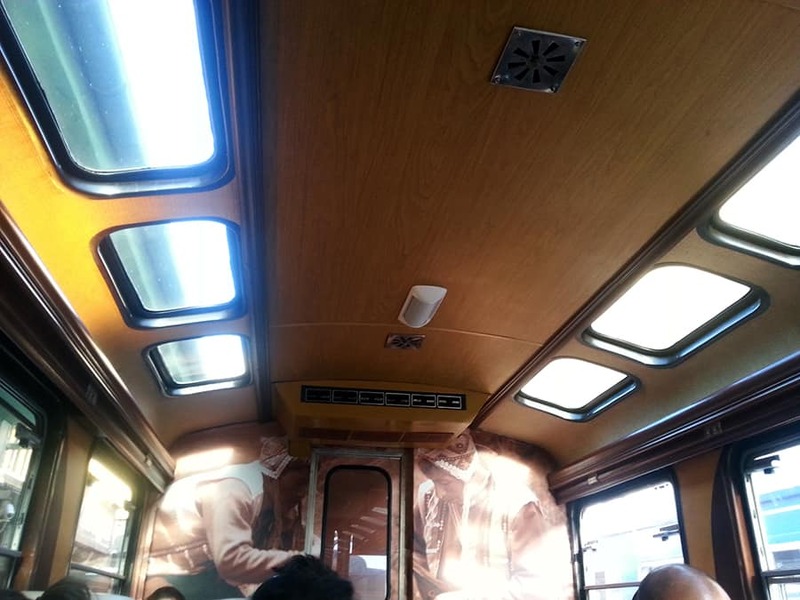 Anyway, notice the windows are a tad bit smaller than PeruRail’s Vistadome. 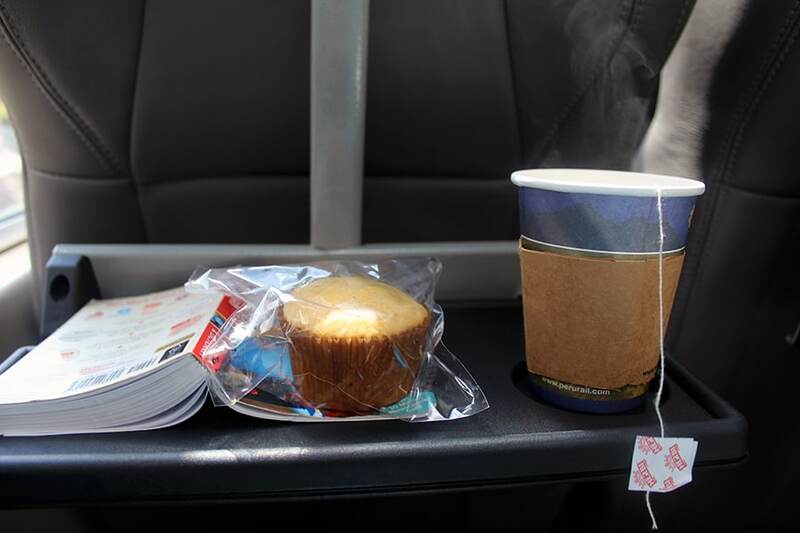 Snacks are included with the purchase of an Executive ticket. My friend was a HUGE fan of their iced lemongrass tea! As far as expensive purchases go, this one is more “economical” than PeruRail’s $385 Hiram Bingham train. I was really surprised to find out Inca Rail is a newer company than PeruRail because the trains certainly seemed much older. The seats weren’t as shiny, the tables looked a little worn, and worst of all, the trains shook pretty badly. On the train from Machu Picchu to Ollantaytambo, it was shaking so badly I was afraid my coffee would go flying all over the place; going to the restroom was nearly impossible (I had to hold on for dear life). Later, I noticed a mechanic getting his tools out and looking down at the floor rather worriedly. When I asked an employee what was wrong, he assured me everything was okay, but the train was just shaking more than normal, so the mechanic was going to examine it and fix the problem. We were delayed for about 30 minutes as the mechanic fixed the problem. If I were to do it again, which train company would I choose? PeruRail. Not only were the trains much newer and the ride much smoother, but also the snacks were better (and I’m all about food). Plus, where else can you get a wacky fashion show like that one? Since the price differences between the two train companies are very slight, might as well go with the one with a more enjoyable experience. 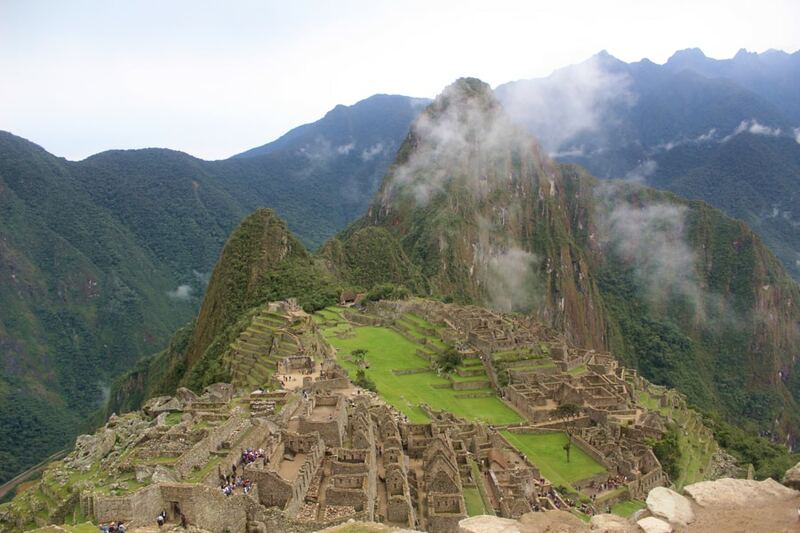 Want to check out full Machu Picchu tours with train tickets included? Check out my other Machu Picchu posts! thanks for the excellent write up and comparison between both the rails. The prices you give on your blog vs actually on their website is completely different. For example on peru rail website i see the cheapest price i can get is 117 USD for one person!! Is there a time dependence on the price like US flights? We are planning to travel in April and I am looking for it in February, could that be the problem? I would really appreciate if you can help us. 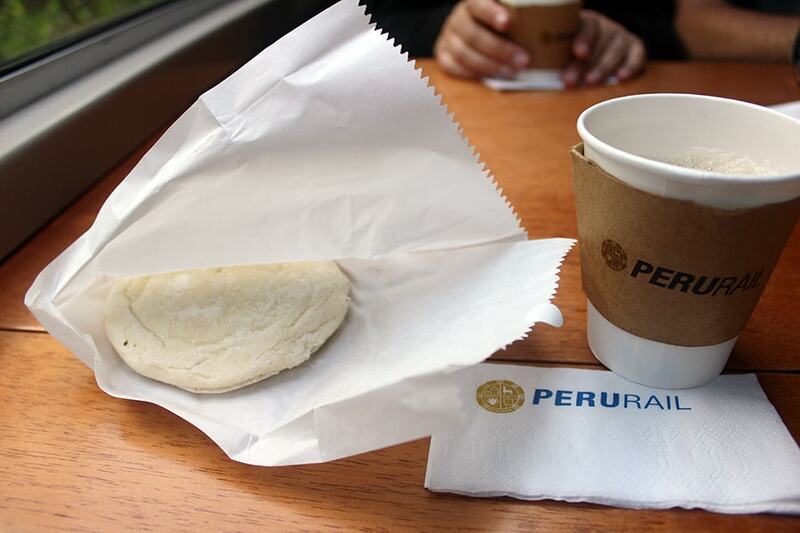 Yes, prices can vary greatly on PeruRail depending on the time the train departs and what class you choose. That’s why I put “approximate starting price.” $117 sounds steep though! My guess is that, for the dates you selected, they are sold out of the cheaper prices. Look carefully what the $117 ticket includes–it may be Vistadome (a higher class) that includes a lunch buffet. That could be why it’s so pricey. I came across your post whilst browsing for some information on MP. 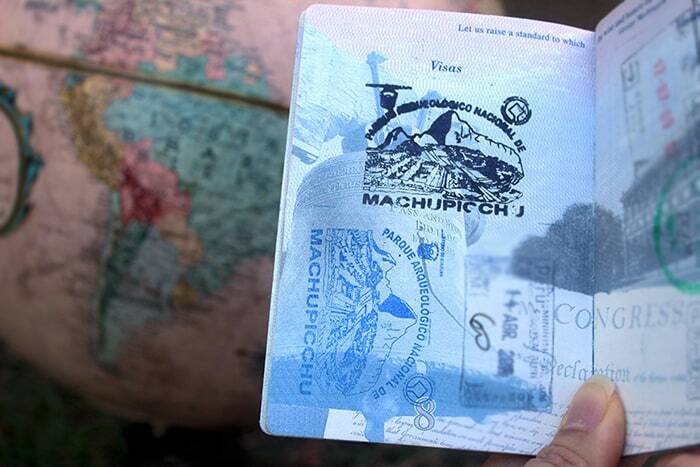 We are planning to go to Machu Picchu in Jan 2016. I have heard stories that it is safer to travel with a tour company, is this so. We will be flying to Cusco from Lima. Are all the airlines reliable? Secondly would it be a problem if we to organise the trip to Machu Picchu ourselves. Cusco is on a higher altitude, so do you think it is necessary for us to go to A.Calientes and stay for a night, do MP and then go to Cusco. Thank you for your wonderful articles. They are very helpful. I am planning a trip to Peru and will be in Cusco on December 25th and plan on visiting Machu Picchu on December 28th or 29th. I liked your advice on allowing a few days in Cusco to get acclimated to the altitude. That was exactly my thought. I am just wondering if I should do the sacred valley (Ollantaytambo) before Machu Picchu and if it would be ok to just take a taxi between there and Cusco instead of staying over night in Ollantaytambo. We just don’t like hopping between hotels and prefer to stay in one spot. So, I am trying to figure out the transportation. Can we take a taxi to Ollantaytambo for the day, tour the site, and head back to Cusco. Take the taxi again the next day to catch the train in Ollantaytambo to Machu Picchu, tour that site, and then head back to Cusco via the Poroy route and not Ollantaytambo. It seems like taking the train back to Cusco (where we will be staying) is quicker through Ollantaytambo station and longer if we take the train to Poroy station. Hi, Thanks for all the helpful information. Since you noted the credit card not working on the PeruRail website, this helped me to not worry about my card being declined. I then chose to pay via Paypal and have now printed my tickets. Also, I purchased the “Promotion” with getting the buffet at the Belmond Sanctuary Lodge, so hoping this will be good. Great reading. I’ll be there in April. The only difference is we are going directly to Agua Calientes first. It is better to acclimate at a lower level and slowly work your way up. But to each their own, right? I just went to buy Peru Rail tickets only to see that they are not doing bi-model (bus/train) for their schedules in April. Meanwhile, their ticket prices are the same from their substitute station which is 15 minutes drive outside Ollantaytambo. Ridiculous! Unfortunately, their schedule from Ollan to AC doesn’t do it for us with our arrival time at Cusco and then the 2 hour drive. So we are taking Inca Rail going (splurging for first) and Peru Rail (economy) coming back. 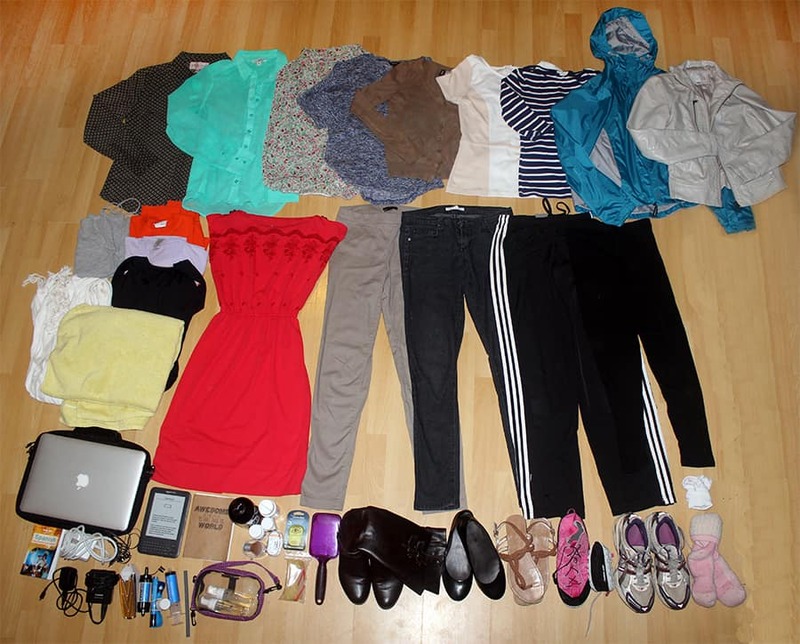 Looked all over for a comparison like this – very helpful!! I would like to point out a little something about the Hiram Bingham. Included in the price ($293 OW in Feb 2016) is the train ride from Cusco (Peru Rail and Inca Rail leave from Ollaytantambo, requiring a taxi or van ($23 for a private taxi or $3-5 in the van per person), lunch, entrance to Machu Picchu ($45pp), tour guide (valued at $20-35pp), bus ride up from the MP train station to the citadel ($19pp), and some other frivolous things like champagne, a musical performance, and tea at the MP Sanctuary. 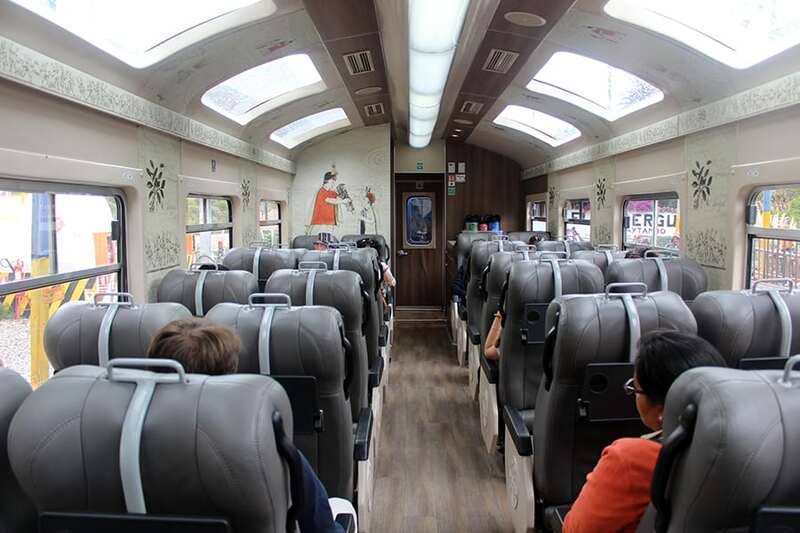 Current prices for the Peru Rail trains: Expedition $50-70, Vistadome $68-87. Inca Rail is $55-60. When you add up all the extras you need just to get to see Machu Picchu with Inca or Peru Rail, you are looking at $157-209pp. If you factor in the fact that you get a very nice train ride, lunch, entrance to MP, guide, and all the other stuff, $293 isn’t too huge a jump. It’s a jump, but not such a dramatic one.